You hear it all the time in real estate: location, location, location. The house is perfect but not in your desired neighborhood, or you love the neighborhood but not the price point of area homes. For as many decades as I’ve been selling real estate I always delight in helping each of my clients find that “just right” house. Such was the case recently when I worked with a farmer to find an agricultural property along the Hamakua Coast. 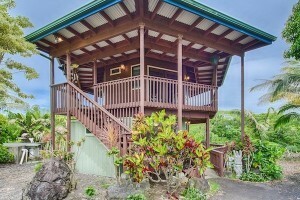 I’ve written before about (MLS# 268090), a octagonal-shaped two-story home in the quiet community of Onomea, just north of Hilo. 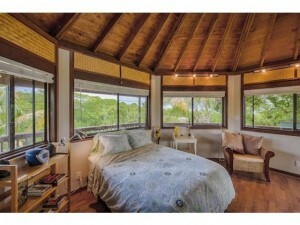 But it was more than just the house and its 360-degree ocean views that attracted the new owner to the property. In addition to those gorgeous ocean views, the property is bordered by a spring-fed stream, has a separate pond, and also overlooks its own private waterfall. Another key factor for the buyer was that the house sits on 15 acres of prime agricultural land; rich, fertile soil that’s appealing to any farmer. It’s also worth pointing out that the seller had made several improvements to the property that made it more attractive to buyers. Over the years I’ve encountered home sellers who want to get top dollar for their home but are not willing to spend money on landscaping or home improvements to ensure they receive that amount. The mentality is that they are selling the house and therefore don’t want to spend more money than they have to in order to sell their home. But those improvements can make a big difference. In this case, the buyer liked that the seller had made improvements, liking paving the driveway, and those improvements factored into his decision to buy the home. But perhaps the biggest factor in this sale, as with so many other homebuyers, was location. Onomea is a small community just outside of Hilo. The property offered the quiet serenity of the countryside (complete with private waterfall!) yet was just a few minutes from Hilo, the commercial hub of east Hawaii. The second largest town in the state of Hawaii, Hilo is home to several farmers’ markets, restaurants, a major shipping port, and an international airport – all key considerations for a farmer looking to market his agricultural products. While this property is no longer available (the new owner is thrilled with it! 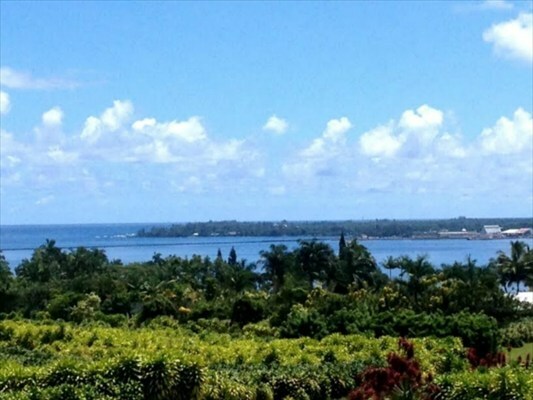 ), there are similar land opportunities available along the Hamakua Coast. 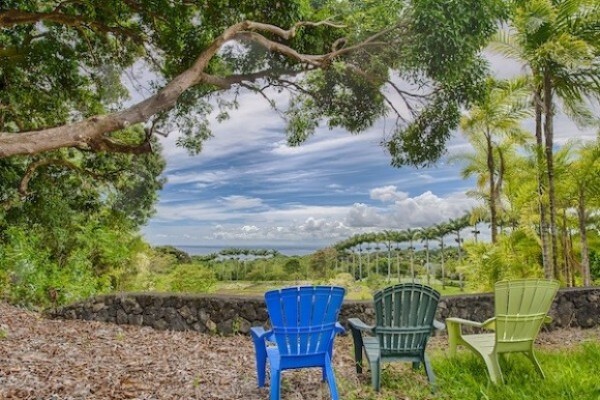 If you’re looking for farmland or agricultural properties close to Hilo, you’ll want to check out this five-acre property in Wainaku. 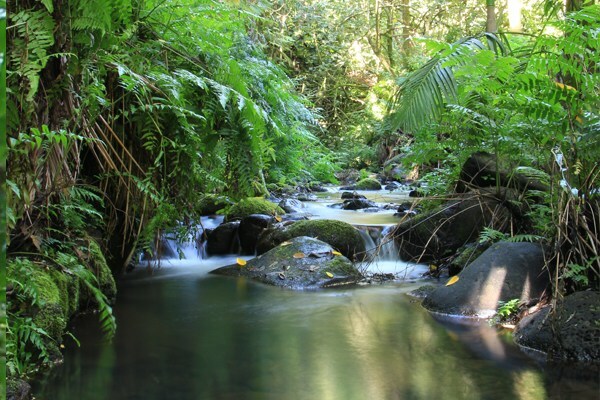 Like the Onomea property, this property offers a botanical paradise of fertile farmland bordered by a stream. Here too you’ll enjoy fantastic ocean views. And the location cannot be beat. It’s within walking distance of Hilo’s historic downtown district. This property offers a botanical paradise of fertile farmland bordered by a stream.